The StairSupplies™ difference is absolutely unmistakable. 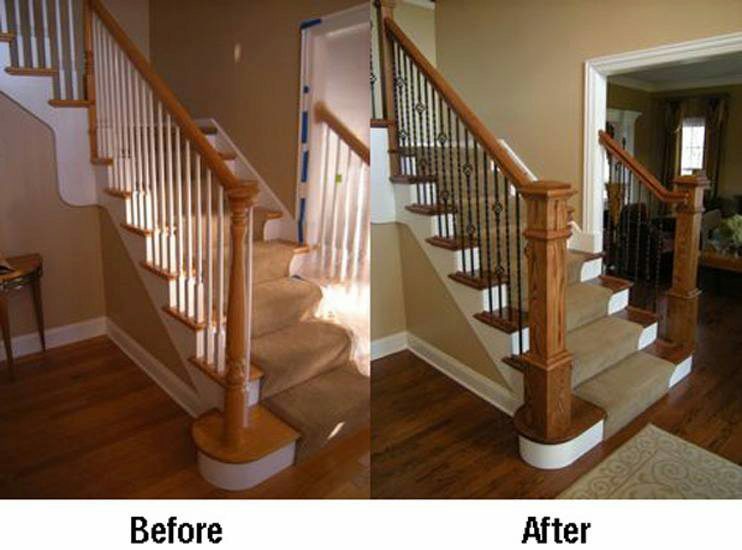 We love to see before and after pictures that capture the elegance that StairSupplies™ brings to every stairway. The contrast between the light Box Newels and the Wrought Iron Balusters provide immediate interest to the stairway. Click here to view your entire Box Newel offering.